Cam Newton vs. Christian Ponder. That will be the storyline during Sunday's Vikings game against Carolina. The 2-5 Panthers are led by the explosive play of Newton. The rookie is fourth in the NFL in passing with 2,103 yards. As a team, the Vikings have 1,229 passing yards. Cam Newton vs. Christian Ponder. That will be the storyline during Sunday&apos;s Vikings game against Carolina. The 2-5 Panthers are led by the explosive play of Newton. The rookie is fourth in the NFL in passing with 2,103 yards. As a team, the Vikings have 1,229 passing yards. 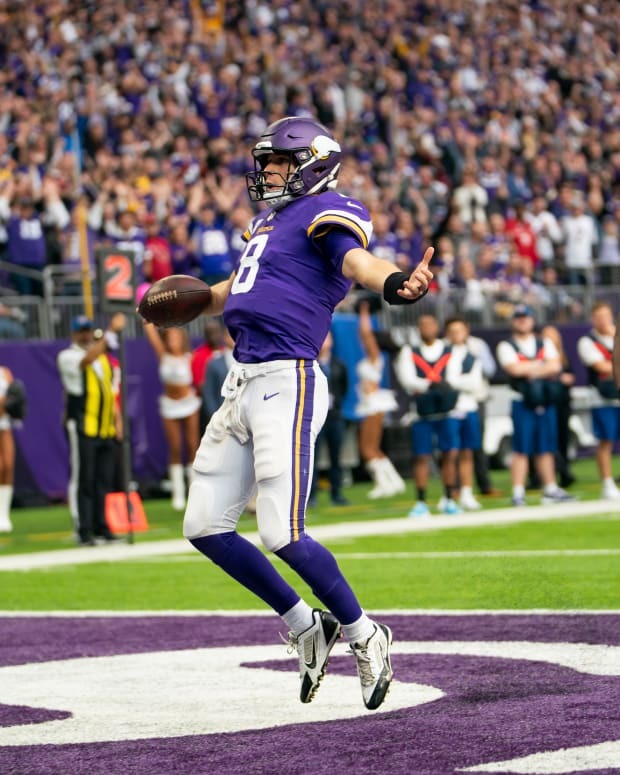 The Vikings get their first road win by out-muscling Cam Newton and the Carolina Panthers in the second half.